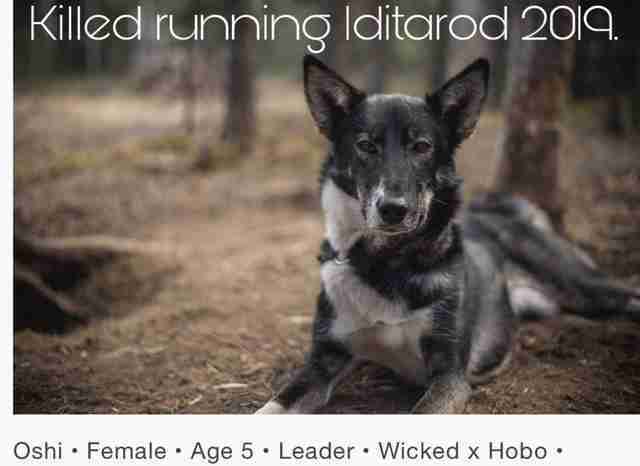 Another dog has died during the grueling 1,000-mile Iditarod Trail Sled Dog Race. Her name was Oshi — and she was only 5 years old. Oshi’s musher, Richie Beattie, was named rookie of the year for being the first rookie to cross the finish line on Thursday. 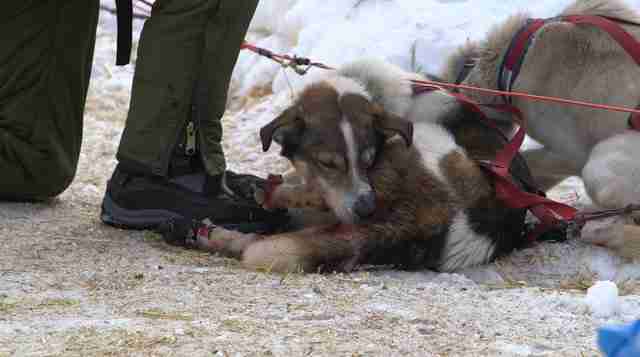 But the celebration was short-lived — Oshi passed away the following day, Iditarod officials confirmed. Oshi died at an animal hospital in Anchorage, Alaska, after being diagnosed with aspiration pneumonia, which is caused by inhaling saliva, stomach acid or food into the lungs. After Beattie and his team completed the race on Thursday, March 14, Iditarod Trail Committee veterinarians examined Oshi and first noticed signs of pneumonia. Oshi was stabilized and flown by emergency charter flight to another hospital for further evaluation and care, where she later passed away (it’s unclear if it was a natural death or if she was euthanized). This is just the most recent death caused by the Iditarod — the dog deaths now tally over 150 deaths since the race began in 1973. And that number only includes deaths that happened during the race — not the hundreds of dogs who are believed to be killed behind the scenes each year at training facilities and kennels. While animal lovers have been raising concerns about how the dogs are treated — both on and off the trail — for years, the dogs don’t receive the same protections as pets under local animal protection laws, so their lives hang in the balance. Eric Jayne, a traveling vet who practiced in rural Alaska from 1999 to 2009, says he witnessed Iditarod mushers racing their dogs when they were sick or injured on multiple occasions — sometimes to the brink of death. To help sled dogs escape the industry, you can sign this petition. You can also share this story.